From the beginning, permaculture has been at the core of Project Maya’s values. 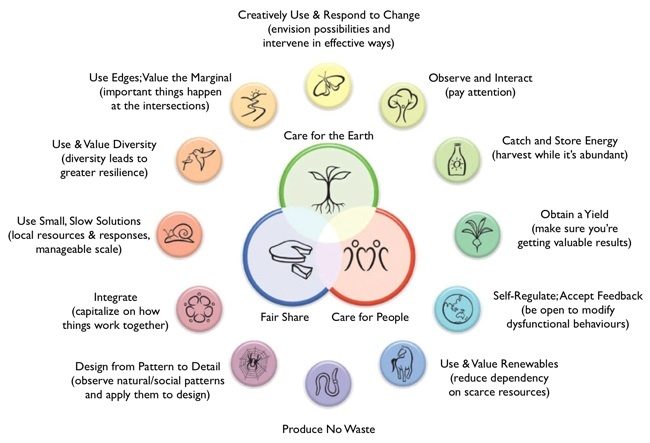 From both personal and academic experiences, the founders viewed permaculture as a viable and credible solution to many of the world’s environmental issues. We define permaculture as short-hand for "Permanant Culture". The ethics of permaculture are a philosophical guide to help make good decisions for a sustainable world. Central to this are the ethics of Earthcare (e.g. restoring soils, habitats and wildlife, recycling and producing no pollution), Peoplecare (e.g. promoting human health and well-being, right livelihoods, and happy communities), and Fairshare (e.g. co-operation, fairly distributing resources and wealth). It was a natural fit therefore for permaculture to be Maya’s guiding set of values and principles and key to the management of Maya Reserves.